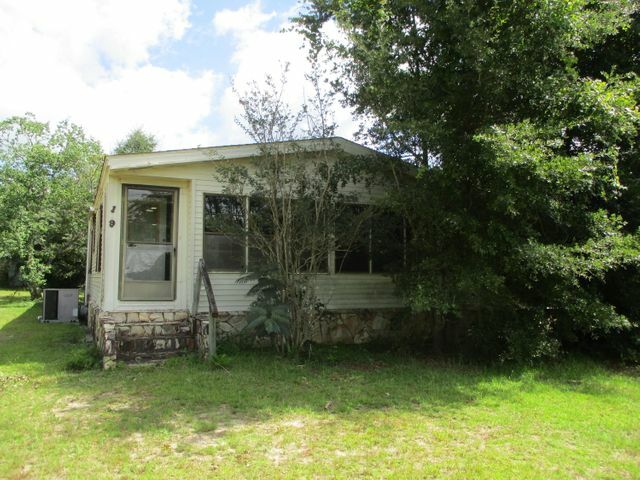 Look at the land with this 1714sf REO property located in the northern part of Defuniak Springs. This mobile home rests on just over 10 acres and has 2 bedrooms 2 baths and lots of potential. Home was built in 1988 so most of the value for this property is in the land. Seller requires cash only for this purchase. © 2019 Emerald Coast Association of REALTORS®, Inc. (ECARMLS). The information being provided is for consumers personal, non-commercial use and may not be used for any purpose other than to identify prospective properties consumers may be interested in purchasing. Information is believed to be accurate but is not guaranteed. Data last updated: Friday, April 19th, 2019 07:46:53 PM. Listing courtesy of Assurance Realty Of Nwfl Llc.